Vision Design Group is excited to share the recently launched redesign of the Explore Mississippi Bluffs website! 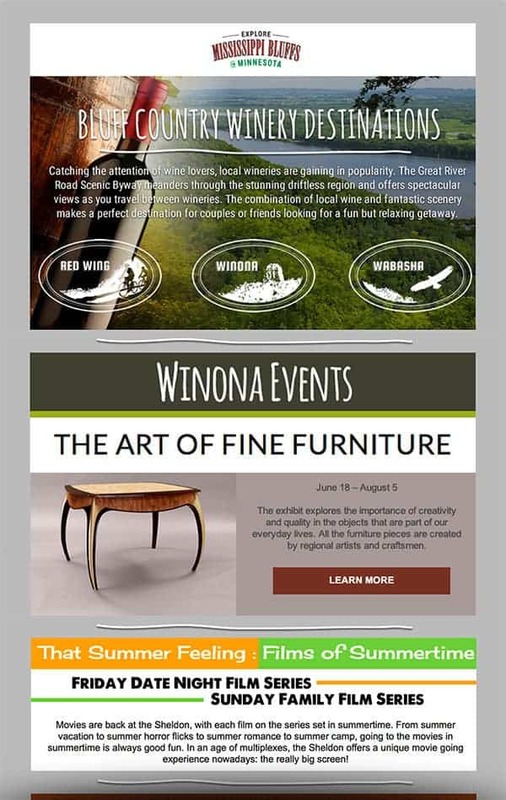 Users can explore three famous, quaint river towns: Red Wing, Wabasha, and Winona! Start off at www.exploremississippibluffs.com! Click on each town to learn about special attractions and exciting events. Check out the event listings and special sample itineraries to experience each town’s unique character and history during a fun-filled weekend! Get maps and directions right from your smartphone, tablet, or computer. Catch up on the latest news and events by logging on today, and make sure to sign up for email notifications to keep you informed! You’ll want to stay in the loop on what’s happening in these beautiful towns, with scenic backdrops you won’t find anywhere else. Check out the full website and plan your next adventure at www.exploremississippibluffs.com! Looking for a new website? 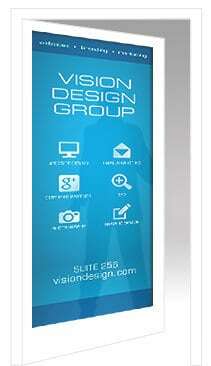 Learn more about our website development services, or to get started, Contact Vision Design Group today! We provide no cost, no obligation first time consultations for all of our services.